Posted on 16 January 2018. 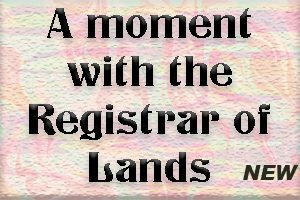 The following is between two (neighbouring) CARICOM nations. How can this come about, TMR asks? Prime Minister of St. Vincent and the Grenadines, Dr. Ralph Gonsalves, told a press conference on Monday that while his government has implemented short-term measures of “a sensible, practical nature” to deal with the matter in Kingstown, a long-term solution is needed. As a result of the ongoing situation, some traders have large stockpiles of Trinidad and Tobago currency in Port of Spain and farmers in St Vincent are reluctant to sell their produce to these traders because of the delay in getting paid. As result, Kingstown has set up a facility at the Bank of St. Vincent and the Grenadines that allows the conversion of Trinidad and Tobago dollars to Eastern Caribbean dollars . However, Port of Spain says it is constrained by a shortage of foreign exchange in its financial sector. 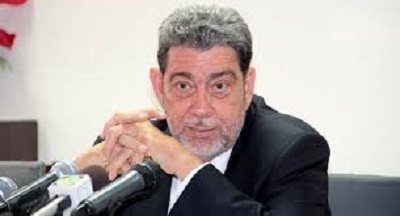 On Monday, for the second time this month, reporters asked Gonsalves about the situation, which he said he would raise at the upcoming intersessional meeting of Caribbean Community (CARICOM) leaders in Haiti next month. “And I will raise it and I will make certain suggestions about certain things which we may have to do beyond what we have been trying,” the prime minister said, adding that he knows that the governor of the Eastern Caribbean Central Bank, Timothy Antoine, has been trying with the Central Bank of Trinidad and Tobago to resolve the situation. “And we’re not making the progress which we should be making,” he said, adding that the issue is of great importance and that is why he has accorded it that level of importance “and to see if we can have a long-term solution, which is fair”. Gonsalves, who is also a lawyer, said Port of Spain cannot simply say that things are difficult and it doesn’t have the foreign exchange.